Could your family break the bank with their snacking habits? Do you just want to walk from one place to another without having to stop to buy food? That’s my kids. 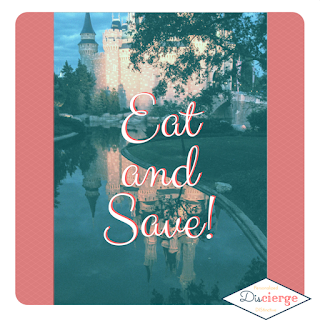 They barely eat, until we’re in the car or passing all those food kiosks inside a Disney park. It gets both expensive and time-consuming, fast. Luckily, you can bring food into the Disney Parks. And you should, because it’s hot and you need to eat and drink regularly. 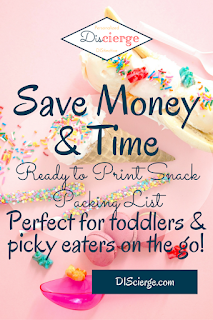 At the end of this post, you can sign-up to get my free car trip snack packing list. It’s already filled out in case you’re in a rush. It also includes a blank list in case you need to create a unique list. The printable does have room for you to add your own items if you want to use all or most of the items I’ve suggested. As with many of The Disney Planning Club printables, it’s an extended PDF so you can print and handwrite or type and save your additions. The list I’ve created is a mix of the actual list we used on our most recent trip and additional items that travel well. I didn’t want to be too generic because there’s method to this list and I want you to think that way if you need to make your own list. That being said, I’ve only listed a few name brand items because you’ll have your own favorites. Since this list is based on our family, I’ll briefly tell you about them. I have two pre-schoolers who are somewhat picky eaters. They do not eat vegetables, the oldest won’t even eat potatoes other than chips or fries. The younger might eat vegetables but not what we’d have in the car. You will probably see the list is very preschool-centric. I would never pack Cheerios and Goldfish if it was just my husband and me. 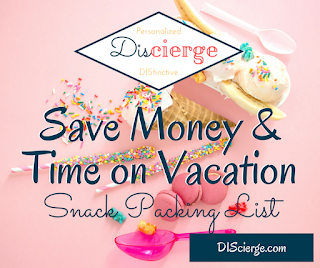 That being said, this list (and what we do for car snacks on any trip) is a mix of healthy options and “treats.” You’ll have to adjust if you are strictly healthy and obviously if you have allergies. We have no allergies so that’s not addressed with this list. We try and avoid juice because our kids would drink way too much. Juice boxes are one of the “treats” but also an alternative to a food snack in the park (we are very careful about too much drinking in the car, our oldest is still at an age with little notice given if she needs a bathroom break). If you also avoid giving your kids juice, consider if you could give them a juice box instead of an even sweeter treat, though. In the heat, this is a good way to get some extra hydration. That being said, we do regularly give the oldest Sneakz “milkshakes” because they contain some vegetables and she doesn’t eat vegetables. She doesn’t know the difference from other chocolate milk and otherwise wants Yoo-hoo (which they have in every refrigerator case in the park—beware). We’ve always gone with chocolate but vanilla and strawberry are also available (we can’t find these locally so we get them via Amazon Subscribe and Save for her lunch box, that’s usually her “dessert,” too). Having Sneakz handy is a good way to avoid buying a sugary drink in the park and a “treat” instead of just water. Remember, it’s probably hot when you’re there, so getting picky kids to drink enough is important. If they won’t drink (enough) water, come prepared with an alternative to soda or whatever you want to avoid. Note: You can have an Amazon order sent to your hotel if you’re flying. Disney has added a charge because this has become so common (after watching the bell hops struggling up the ramps in our hotel with carts laden with guests food and beverage items, I see why. Remember, this is better than them refusing to accept packages on your behalf and cheaper than the luggage costs on most airlines! It’s because of airline luggage fees this has become so prevalent.). If you plan to slice things or core apples, you’ll need the cutting board and a way to clean up. Our youngest can eat a giant apple but our oldest won’t eat them if they’re brown so the apple corer is essential for us. Slicing won’t do. I’ve listed these “specialty” items for you. I’ve also listed the item we forgot, plastic containers. We were on the dining plan this trip (there was a specific reason, but isn’t what we’d normally do). Even with our youngest being too young to be on the plan, we still had WAY too much food. I meant to bring containers into the parks to carry leftovers. The kids meals can produce a lot of leftovers that make great snacks (grapes, baby carrots, applesauce pouches, etc.). Being able to take an unfinished meal with you (neatly) can also get you on your way if you do have picky eaters who will be hungry in 15 minutes since they barely touched their meal. If you have teenage boys, I’m guessing you can skip this item. Finally, with regards to what’s on the list, we did not bring this many items. We had too many snacks with us and this list has at least nine more food items than we brought. Our trip was Friday to Tuesday (was supposed to be to Monday). We had car trouble and decided to split our drive home so we could stay longer on Monday (so we were in the parks 3.5 days). Splitting the drive home meant we didn’t need many snacks on the way back in the car (plus we had used up our snack credits on Monday and ate a lot of those in the car). On the way down, our drive was less than eight hours with stops and we aren’t big eaters (OK, we can easily finish a bag of potato chips or nuts so we don’t bring those, we stick with mini bags of chips to curb this problem). If you’re trying to save on food (and aren’t doing a Dining Plan), you might want to bring this many snacks if you were in our exact situation. For more days, longer drive, fewer days, different number of people, and different appetites, well… you’ll have to decide what will work for you. One of the things I didn’t bring was Cheerios. I was tired of packing so much for such a short trip. Next time, lots of Cheerios, our kids wanted to eat non-stop but not necessarily fruit (although they did eat a lot of fruit). Cheerios are a good “healthy” option. The non-stop eating was from kids that don’t normally eat non-stop. Expect the sight of so much food (whether for sale or just others eating) to produce a similar effect in your young children (OK, maybe in everyone). The “snack cups” I’ve listed can be whatever kind of container you need to bring to eat out of. We are investing in the cups with the lid kids reach through. Even our oldest made too much mess. She’s usually fine so I think this is just a car-trip neccessity for us. Even with an older family you may want containers so you can share from a single package or just so you aren’t repeatedly sticking your hand in a salty bag while in the car. You may or may not need this in the park. You’ll see the list is three columns. It’s actually two unique lists plus an extra packing list. Let me explain. The first column is “In the Car.” These are your car snacks. You want to pack them so you can access them in the car. The second column is “In the Trunk” these are items you don’t need to access and includes food items I don’t want my kids eating in the car (grapes are on the list because our youngest is under 2, even sliced I just don’t want to go there). This division of the food may be the thing you want to customize. A year ago we couldn’t do apple sauce pouches in the car with the youngest (and he still can’t have yogurt tubes in the car but the oldest can). A year from now it may just be the crumbly items we ban from the car. I don’t want anyone eating Cheetos in the car (or cheddar rice cakes, which I prefer). Orange fingerprints everywhere. If you don’t have babies, invest in a pack of wipes! You’ll want these in the car and especially in the park. If you have babies, have extras for cleaning up after eating, not just for diaper changes. 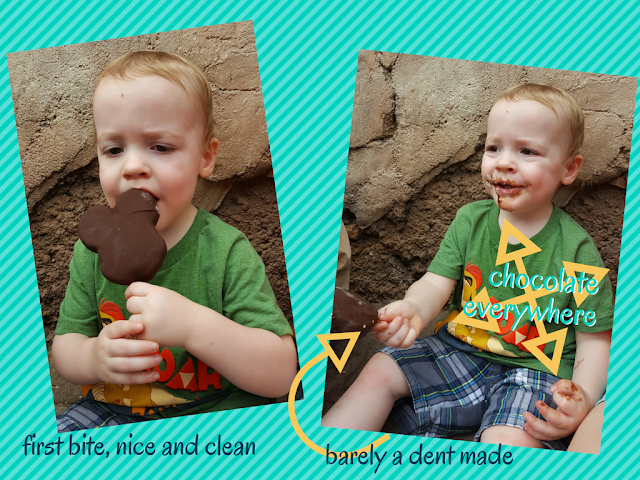 Wipes are awesome after your Mickey ice cream melts, which it will (see below). The third column is your daily packing list for the park. You will do the most unpacking and repacking of food since you’ll eat up some items, refrigerate some things, and throw out others. You don’t pack from this list at home, it duplicates items on the other two lists. I suggest cutting the “Park Bag(s)” list off and laminating it to reuse (after you’ve customized it). If you end up creating a completely custom list, you could add a check box for each day if you can’t laminate. Feel free to create separate lists for each person. Once my kids are old enough, they’ll be in charge of their own snacks. I’ll only make sure they have water. You might also want a “night before” list to remind you to put ice packs in the freezer, water bottles in the fridge, etc. You could also add a morning park bag packing tasks. We had to make ice bags from the vending area because we forgot the ice packs. My husband ran into the house and grabbed one dinky ice pack at the last moment (it was his third trip back into the house, I’m making him a packing list for our next trip. It really was like having a third non-reader to take care of as far as packing went!). So there you have it. This is a list ready for your next car trip to Disney. If you’re flying and renting a car (or ordering groceries) you can use this as your shopping list and park bag snack packing list. The food at Disney has really improved in the last few years but it’s still a lot of fast food/junk food. Bringing your own healthy snacks, plus some treats, can save you tons of money and the time it would take to purchase all those snacks. 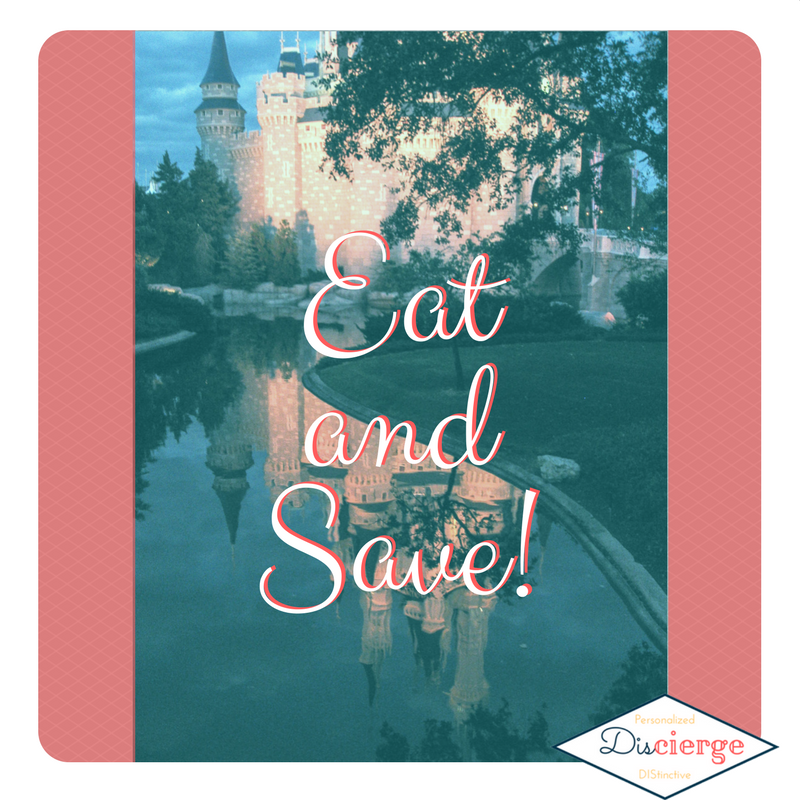 We still buy food in the parks but packing plenty of snacks helps us only buy what we really want (Dole Whip, anyone?). What snacks are your favorites to bring with you? Leave a comment.